Chandigarh To Delhi Airport One Way Taxi Service available pick up from Chandigarh Bus Stand, Chandigarh Airport, Mohali Airport, Chandigarh Railway Station, Panchkula, Mohali (SAS Nagar), Zirakpur, Derabassi, Kharar. Call Now: 9988005056 24×7 services available. We provide best cab service from Chandigarh to Indira Gandhi International Airport, Delhi. Our cab charges for dropping to Delhi Airport are very affordable as compare to other taxi operators in Chandigarh. We have all types of vehicle from Tata Indigo, Indica, Toyota Etios, Innova, Maruti Swift Dzire & also Tempo Traveller. Distance from Chandigarh to Delhi Airport One Side is approximately 260 KM & to cover this distance it will take 4 hours & 30 minutes in usual traffic. You can also book our taxi service from Chandigarh to Delhi Airport & then return too. Chandigarh to Delhi Airport Taxi Fares for Innova, Dezire, Etios are very less then other Taxi services. We taxi cab fares are very reasonable & no any hidden charges will be charged. We provide taxi service to Delhi International as well as to domestic airport too. 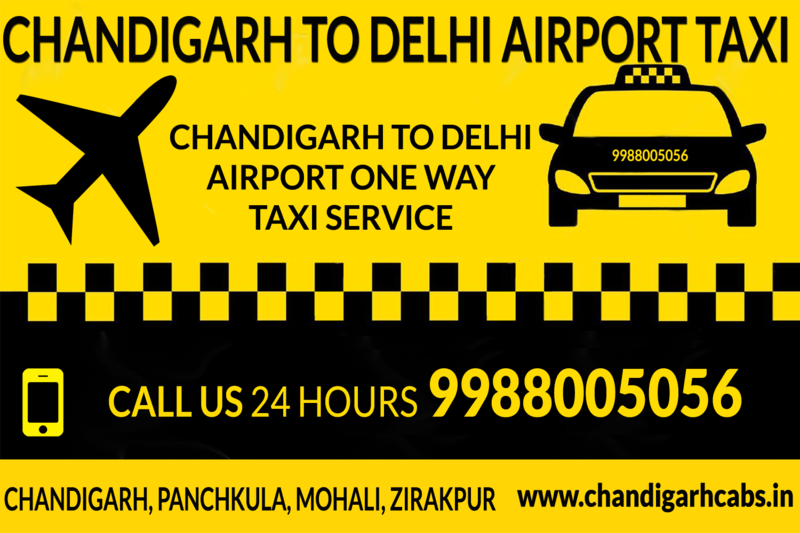 Best &amp; affordable taxi service from Chandigarh To Delhi Airport. Chandigarh to Indira Gandhi International Airport, New Delhi, (DEL) or for Domestic Airport New Delhi, We provide all type of taxis. Booking procedure is very simple as 1-2-3. Just Dial our phone number +91 9988005056 & tell us your pickup location with Date & time. Our taxi will reach at your location within 30 minutes.